In December 2013 & 2014, CPF supported the CDMF Carol Singing Festival by sponsoring choirs to sing at 1881 Heritage and IFC. In 2014, CPF undertook to sponsor a total of 100 students who participate in the Child Development Fund (CPF) programme. 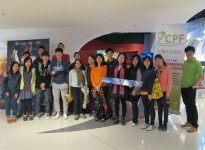 CPF organised two private screenings of My Voice, My Life in November 2014. Hoping that the story could inspire its viewers, CPF invited educationists, counsellors, mentors, and students to watch the documentary. CPF donated to the Ellen Choi Scholarship Fund which was dedicated to support the education of youth in Mainland, notably Beichuan of Sichuan. 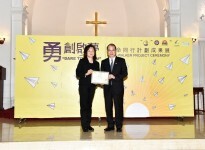 CPF sponsored tickets of musical "Against the Wind," launched on 12 September, 2014 at Kwai Tsing Theatre, for youth workers in schools, churches & NGOs. Cooperating with St. James’ Settlement, CPF has sponsored the employment of a second full-time social worker at St. Paul’s Co-educational College (SPCC) since March 2013. 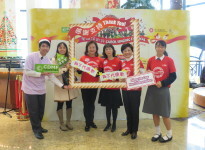 CPF supported the Youth Foundation by providing donations towards local and mainland youth projects.